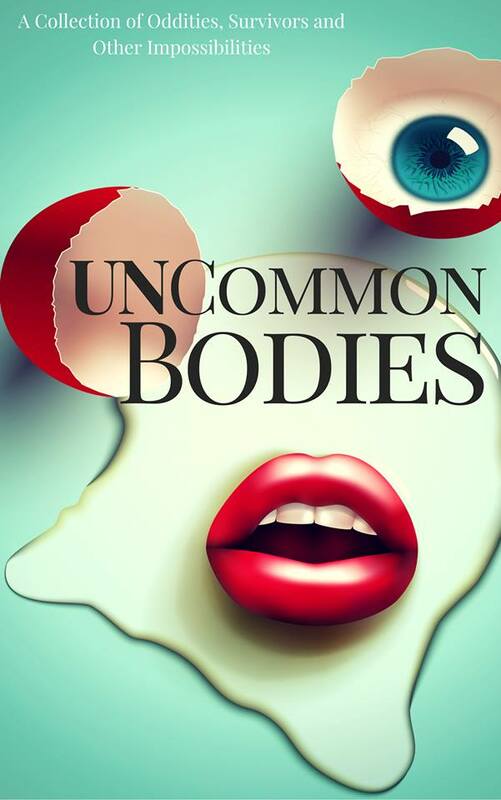 Launch day for the UnCommon Bodies anthology has arrived! UnCommon Bodies features my short science fiction story Phantom Pain plus 19 other excellent tales. The anthology is themed around the title rather than genre which means there’s a wide range of stories – everything from science fiction to magical realism to horror (there’s some sexually explicit material too) – but every one of them is uncommonly original (see what I did there?). You can buy the book on Amazon right now and if you’d like to chat with some of the authors and have a chance at winning some great prizes the launch party takes place on Facebook this evening. Over the last couple of weeks I’ve been running a series of interviews with the authors from the anthology. 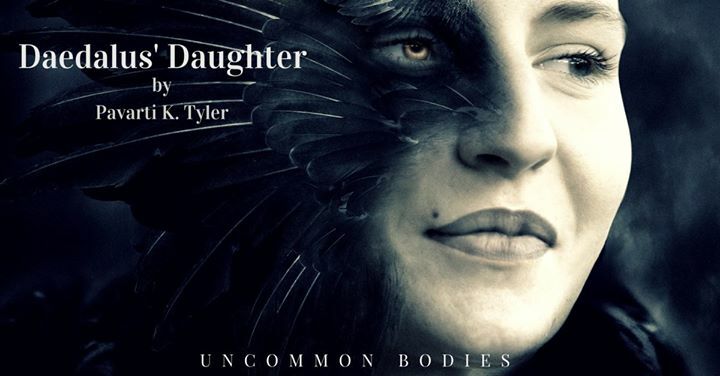 Today I’m talking to the mastermind behind the anthology, Pavarti K. Tyler about the anthology and her story, Daedalus’ Daughter. What inspired you to create UnCommon Bodies? I’ve always loved those things which exist outside of the norm, the people and activities which reside on the peripheries. With UnCommon Bodies, I felt that by exploring the extremes, the truly outside of the norm experiences there was an opportunity to drill down to the essential question of what makes us the same. Why did you pick the theme of uncommon bodies? Bodies, whether sexual or otherwise, are a constant part of our lives. We wouldn’t exist without them. They define our understanding of ourselves and of other people. The first thing we judge people on is their body: gender, skin color, or things more extraordinary. We stare at those with scars or disfigurements, and the more extreme the physical difference the more fascinated we are. What do you hope readers will take away from UnCommon Bodies? The unity of the stories, which transcending genre, is about acceptance, of the self and others. It was such a thrill to see so many authors come together and put their best work forward. The opportunity to curate a collection of the truly highest quality work and then work individually with each author to help them bring their vision to it’s fullest potential was so satisfying. As an author, I’ve always enjoyed the editing process, both for content and for sharpening the flow of words. To have the opportunity to not only share what I’ve learned but work with others with so many fabulous ideas of their own was tremendously fulfilling. It was a lot of work, but I hope to do it again soon. What are you most proud of about UnCommon Bodies? I couldn’t pick one thing. I’ve loved the whole process. From reading the submissions, to working with authors, to the amazing work that’s been produced. I guess, the thing I’m most proud of is the team and how this group of authors I threw together, worked so hard toward the goal of creating something unique and exceptional. I have a few ideas 🙂 Right now I need to finish a few projects and then I hope to announce another anthology from Fighting Monkey Press soon. Isha, in Daedalus’ Daughter has begun to sprout feathers. This begins after her father’s sudden death. The combination of the girl and the feathers really spoke to me. Also, the wistful, almost sad look on her face really captured what I felt was the emotional journey of the story. Margaret Atwood has had a huge influence on me, as has Octavia Butler. Both of these authors are able to tell evocative stories that address issues of gender, race, and other greater social concerns without becoming preachy or losing the reader’s interest. How will you celebrate the launch of the book? Some wine and sushi! My favorite treat! Check back tomorrow for the next UnCommon Bodies interview and don’t forget, you can buy the book on Amazon and the launch party takes place on Facebook this evening.